Kobold Press Wants You to GM at Gen Con! Time to prepare for Gen Con! Are you ready to run Pathfinder or fifth edition D&D at the best four days of gaming? Kobold Press is looking for GMs and we want you! 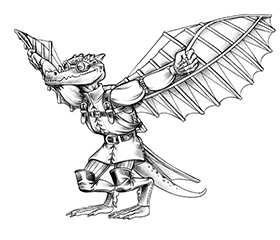 To sign up, email Ben McFarland (brickk@gmail.com) with the subject [Gencon] Kobold GM. We’ll get you scheduled and squared away for some great gaming. Events must be submitted by the end of February, so don’t delay! * Exclamation points not included.